Brooklyn-born Henny Machlis was at the heart of this amazing weekly adventure. 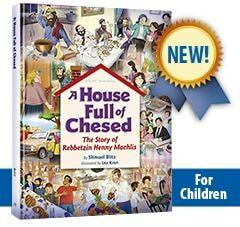 But, as author Sara Yoheved Rigler, bestselling author of Holy Woman and a friend of Henny’s, discovered as she interviewed Henny’s fourteen children, relatives, students, and friends, the Shabbos hospitality was just one glowing facet of the multi-faceted diamond that was Rebbetzin Henny Machlis. A master of prayer, a virtuoso in chesed, an adept in childrearing, a wise Torah teacher, an expert at working on middos, and a successful shadchanit, Henny Machlis regarded a life of Torah and mitzvos as a great treasure that she was eager to share with everyone. 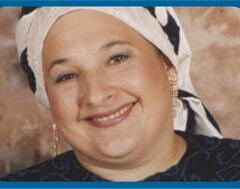 And her emunah, her faith in G-d’s love and providence? That was where her light shone the most brightly. She lived on the Planet of Emunah, a place where miracles were everyday occurrences, because she knew, really knew, that only Hashem is in charge and He can do anything. And, for Henny, He often did. 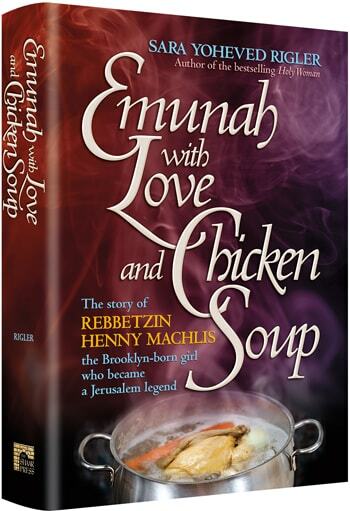 Like a steaming bowl of chicken soup, this book will satisfy you. Comfort you. 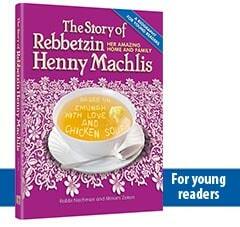 And heal you — in a way that only Rebbetzin Henny Machlis could. Sip it. Savor it. And be inspired and transformed.